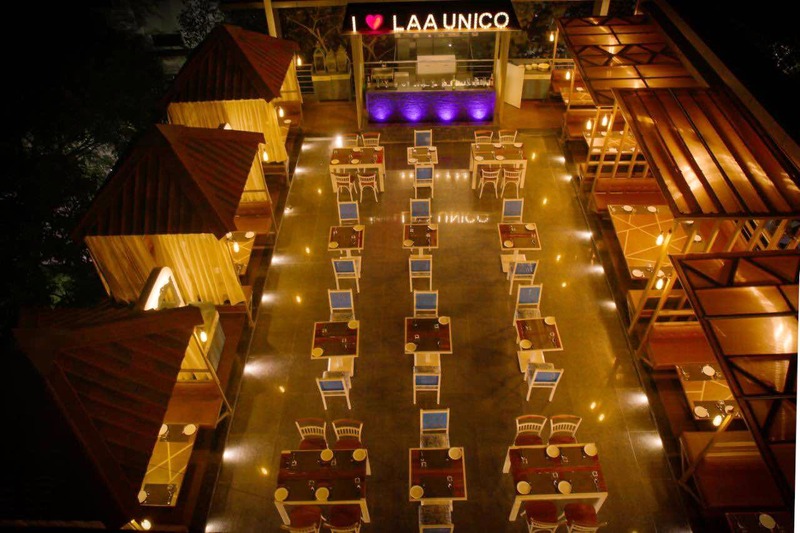 Located in Swargate, Laa Unico is a gorgeous rooftop restaurant. Though summers can be a little hot on a rooftop, the restaurant has a good amount of fans mounted on top of tables, facilitating an airy and pleasant atmosphere. The staff is very friendly, welcoming, and well-trained. Not just that, they make sure that cleaning is done well in time before the next dish is served. I absolutely loved the hospitality. The food served here is scrumptious, to say the least. There was not one thing that we ordered and disliked. From the appetisers and entrees to the main course and the dessert, everything was delicious. And I was amazed to see the way each dish or beverage was presented. We ordered a mocktail called Sweetheart which actually was no less than a sweetheart. It was presented in a watermelon with a variety of fruits and a refreshing beverage, making it a perfect summer drink. We ordered another drink named Chemical Locha, a gastro drink that will tickle your taste buds. The food quality, the service, the presentation, and the ambience, everything was on point. The waiting time. The restaurant is always crowded and I just wish they grow and expand to accommodate more people so the waiting time is reduced.